RAOOF MD (Encino) - Book Appointment Online! RAOOF MD has a comprehensive approach towards medical grade treatments ran by a physician and a medically certified staff. Supervised by T. Joseph Raoof, M.D., the staff of RAOOF MD blends the art and science of medical skin treatments allowing us to deliver a wide range of aesthetic and corrective treatments while maintaining the absolute highest standard of quality and safety in the industry today. 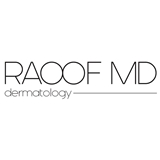 RAOOf MD is equipped to handle all of your skin care needs. Whether it is skin care products or procedures our staff will address all of your skin care needs and concerns. We also offer the latest technology in skin rejuvenation with the state of the art Orion Harmony Laser System. This laser system also removes hair, spider veins, brown spots, photo damage, rosacea, and acne scars. Dr. Raoof also participates in Clinical Trials for a wide range of conditions.